Money Trouble in New Mexico? Summary of New Mexico Usury Law(s) / Quote: "Legal: 15% / Contract: Whatever agreed to in the contract / Judgment: 8.75% / Corporate: No specified rate"
Legal Maximum Interest Rates: Quote: "15% in absence of contract fixed rate / NM Statutes 56-8-3 on Interest Rates"
Usury Penalties: Quote: "Forfeiture of all interest and if paid, borrower may recover twice amount / NM Statutes 56-8-13 on Penalties and Forfeitures"
Judgment on Rates: Quote: "8% unless judgment is on a contract, in which case interest on recovery will be the contract rate, but if the money judgment is for tortious conduct, interest on judgment will be 15% / NM Statutes 56-8-4 on Judgments and Decrees"
Legal Exceptions: Quote: "Corporations and limited partnerships: NM Statutes 56-8-9 on Excessive Charges Prohibited / NM Statutes 56-8-21 on Usury / Pawn Shops: NM Statutes 56-12-13 on pawn service charges"
Matt makes almost $4500 a month and after taxes and other deductions he grosses $3250 a month. He is only paid once per month and has to budget his expenses accordingly to make sure the he does not run out of cash before the end of the month. He does not like using credit cards because for him there is too much danger of over spending. He learned the hard way by overspending and ended up with a bad credit rating. After he pays $1000 for rent, a car loan of $500 and utilities including a cell phone of another $600 a month. He is left with $1150 for food, clothing and entertainment which is not much for a full month of expenses. He feels that he can afford $100 a month for a loan payment which would allow him to borrow $3100. He is more focused on how much he can afford to pay vs. how much he needs to pay of his current debts. It turns out that Matt owes a lot more than $3100. He has two credit cards that are max’d out and he cannot afford the monthly payment on the credit card let alone adding another $100 payment even if he uses the loan to reduce some of his debt. Matt needs to focus on also reducing the interest he will pay in order to take on a larger loan. He knows that he may also need to cut back on some of his expenses as well. Matt is in trouble from a financial perspective. While he makes over $4000 a month which sounds like a lot he is still spending more than he makes and he does not have enough cash left to pay off his debts. He needs to consider doing something drastic. Matt may have to take in a boarder to help pay for his rent, sell his car and buy a lower cost car, sublease his apartment and move back in with his parents until he can get control of his debts or even take on a second job. Taking on more debt at this point is not going to work and lenders are not going to lend him more funds. He also has a bad credit rating from earlier problems that he had with his money and debt. The reports to his credit score will likely stay on his report for at least two years if not longer. This is assuming that he does not have any more events reported to his credit score. Some reports can stay on your credit score for as long as seven years. Matt really needs to focus on improving his score if he wants to ever purchase a home and be approved for mortgage. He may have difficulty even being approved for another car loan. 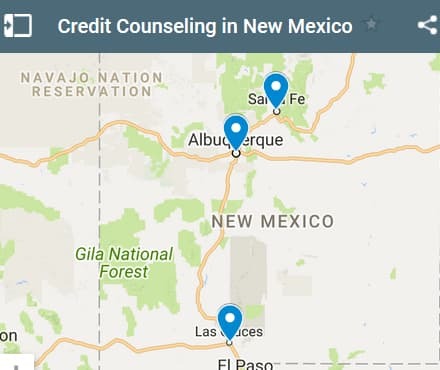 If you live in the State of New Mexico and you're struggling to get a loan approval with a bad credit rating we hope our website helps you in some way. 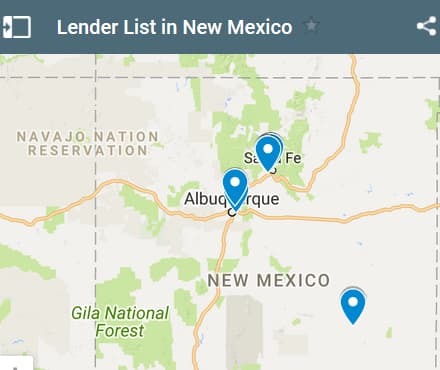 Last 5 debt service loans approved in the State of New Mexico. Source: WFL Lender Pool. Updated Weekly. Principals rounded to the nearest $1000. Relative interest rates listed below in order left to right. When you are trying to find a solution to your personal debt problems you want to make sure you don't jump into any so-called deal that comes along. Make sure you understand all the laws in New Mexico so that you don't become a victim of a predatory lender, which could make your financial situation worse. Do your home work online and by picking up the phone. Make sure that if you are talking to a bank, credit union, debt settlement attorney, or debt relief company, you don't agree to paying any upfront fees before they take action on your behalf for any debt service. Rob is an outdoors enthusiast and his entire family loves to be outdoors as well enjoying water sports, fishing and boating on a nearby lake. Rob and his wife have a son who is challenged and they are very concerned about him being on the boat with them. They are afraid that there will be an accident in the water and they want to make a lifestyle change. They plan to sell their boat and purchase two ATV’s along with a trailer to transport them. They hope to receive a debt consolidation loan for $6000, sell the boat for $5000 and they have $4000 as a down payment in addition to the money they receive for the boat. They are hoping that by selling the boat, they will have a safer environment for their son and still be able to enjoy the outdoors along with new and different activities. They do not have a lot of debt. They pay monthly on their mortgage, a car loan and they have zero balances on their credit cards. Their credit score is average and they are really hoping that this loan will be approved soon so that they can also sell their boat at the beginning of the boating season. They plan to use their ATV’s to go on camping trips and explore some of the desert parks in New Mexico. You really need an ATV to go to some of the places they plan to go to. Rob and his wife would like a $6000 debt consolidation loan to help him purchase two ATV’s and a trailer. They are making a life style change from boating to on land activities to hopefully participate in a safer outdoor sport for their son who is considered challenged. Rob’s credit score is average as well as that of his wife. They pay their bills on time and have no negative reports on their credit report. Based on the family income level they should be able to afford the monthly payments along with their mortgage and car monthly payments. He must sell his boat and trailer to make this all work since he needs the proceeds of selling his boat to add to the purchase. They also have $4000 saved that they can use towards the purchase of the ATV’s. Once the loan is approved, he plans to head off to the dealer and attempt to negotiate a better deal for the two ATV’s he is looking at. He hopes to actually need less money than what he is applying for based on negotiating a better deal. Rob has already listed his boat for sale and since it is the beginning of the season, he is hoping to sell it quickly and perhaps for a little more than he really is expecting. He could end up repaying part of his loan early if this all goes the right way. 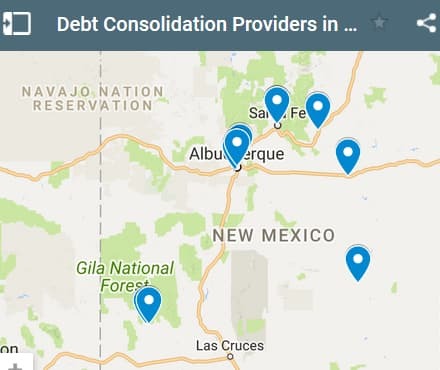 If you live in the State of New Mexico and you're trying to get approved for a debt consolidation loan, we hope our website helps you find a good lender regardless of your credit rating.